Atomic Ranch: What are some distinguishing characteristics of Blenko items? The rough pontil on the base—the scar left behind from where the glass was formed while attached to a pontil or iron rod. 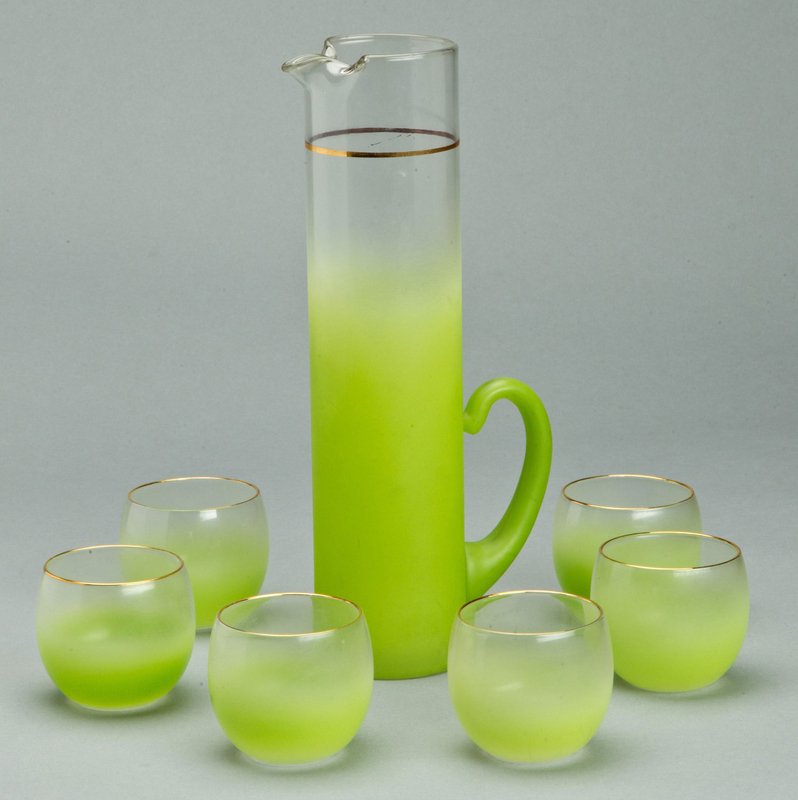 Color—usually (not always) bold and colorful glass. Thickness—Blenko is often up to 1/4 inches in thickness. Even when thinner, it is much thicker than most other tableware/giftware glass. AR: What are some distinguishing characteristics of Blendo items? It is a DECORATION applied to the surface of glass, not the glass. The base glass is ALWAYS crystal. It NEVER has a pontil on the base. It was made by and only by West Virginia Glass Specialty of Weston, W.V. AR: What tips can you give for identifying each (Blenko and Blendo) such as maker’s marks or distinct styles? Are there any resources you’d recommend for this? DS: See above for distinguishing characteristics. 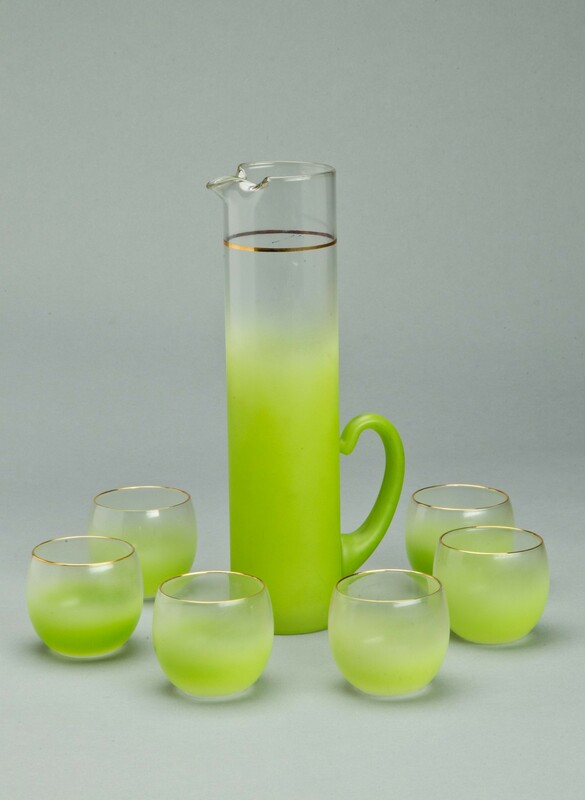 Blenko is marked with an acid mark of BLENKO if made in later 1958-1960 and with sand carved BLENKO and the year on all pieces made after 2001. There are numerous books on Blenko available on line and at bookstores. 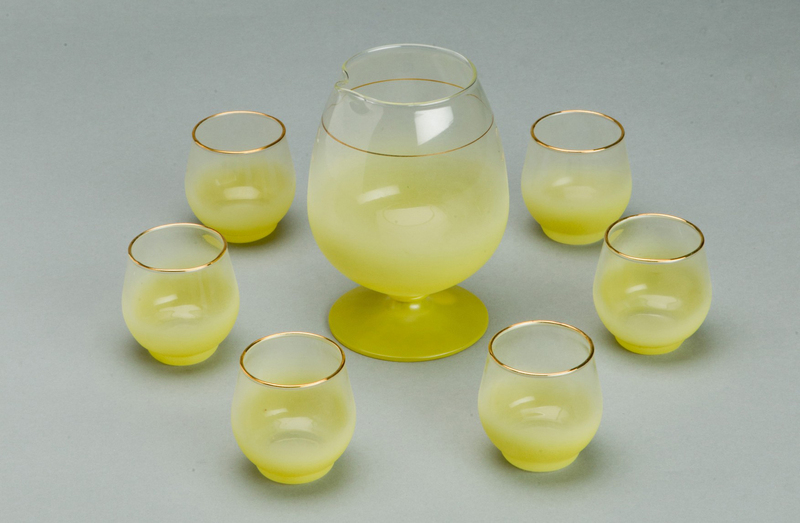 There is only one in-print resource for Blendo: West Virginia Blendo Glass: Collecting Blendo from the West Virginia Glass Specialty Company. Monograph No. 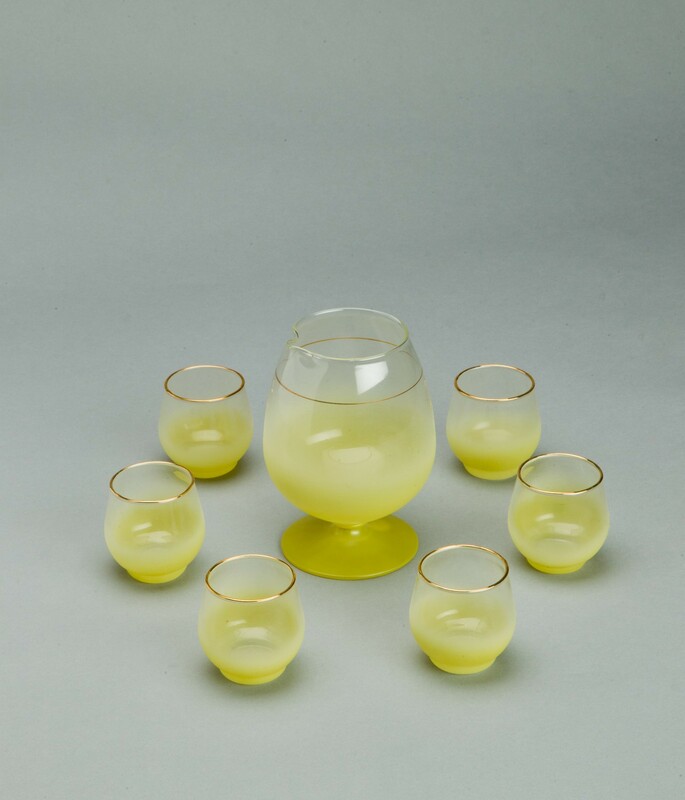 137 in the glass study series of the West Virginia Museum of American Glass, Ltd.
e Blenko? 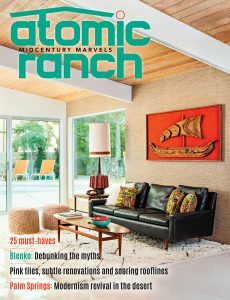 Learn More in the Current Issue of Atomic Ranch! Get the full Blenko story from Dean Six by picking up a copy of the Palm Springs issue of Atomic Ranch, available at a newsstand near you or buy a copy online!